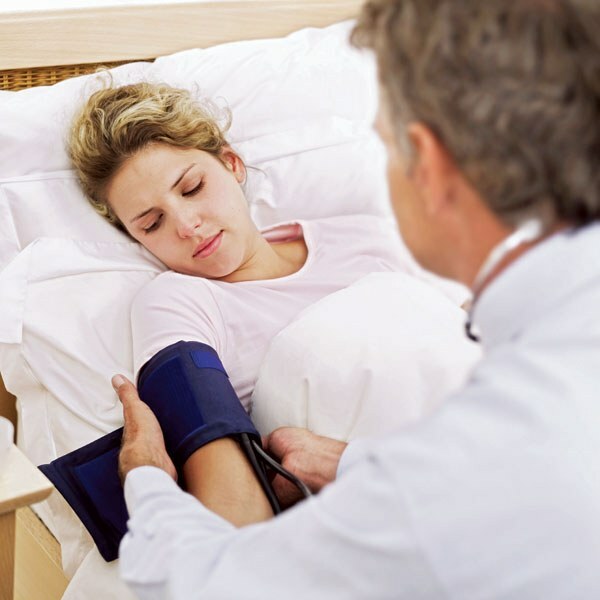 Experts believe that the causes of most diseases related to changes in blood pressure in adolescents, you need to look for in early childhood. That is why it is important to know normal values of blood pressure and monitor any fluctuations. Blood pressure is a very significant indicator of the circulatory system. It reflects the force with which the heart muscle is reduced, and the resistance of the vessel walls. Pressure is measured in millimeters of mercury according to the following criteria: systolic blood pressure, which exists at the moment of contraction of the heart muscle, and diastolic pressure during a break between contractions. The pressure depends on several factors: the total volume of the blood circulatory system of the body, physical loads and their intensity. Also, the presence or absence of any disease, and age greatly influence blood pressure. Norms of blood pressure and heart rate in adolescents approximately coincide with the norms for an adult and are: systolic – 100 to 140 mm Hg, diastolic - 70-90 mm Hg (at 60-80 beats per minute). There is also a special formula for calculating the normal pressure in adolescents and children from 7 to 18 years. Systolic pressure is calculated as follows: 1,7* (age)+83. Diastolic pressure: 1,6*(age)+42. Thus, it appears that for a teenager 14 years normal systolic blood pressure is 107 mm Hg, diastolic - 65 mm Hg. This formula is used to calculate the average normal pressure in adolescents. The disadvantage of this method is that it ignores the dependence of the average values of pressure from gender and adolescent growth. - dystonia – a condition that is caused by changes in the autonomic nervous system. Dystonia can manifest with increased intracranial pressure, accompanied by headaches, nausea, puffiness under eyes, increased sweating and nervousness. The teenager, who observed a tendency toward lower pressure is needed to increase the General body tone. Also needs training vessel, by gradually increasing physical activity, tempering (fit, contrast shower, foot baths). Also very effective herbal medicine: regular green tea, Siberian ginseng, Chinese Magnolia vine, tansy, and rosemary in the form of herbal infusions. As under reduced pressure, it is very effective in this case would be sport (the only contraindication if high blood pressure has grown into hypertension). Also, exercise helps to fight obesity which is one of the main factors of high blood pressure when the blood vessels make it more elastic. Positive impact nutrition child: less flour, sweet, fatty, salty and in large quantities to eat vegetables and fruits. Herbs, which can also be used in the form of infusions when the pressure in adolescents the following: dandelion, rose hips, (to drink it is recommended with the addition of a small amount of honey or propolis), and also need to eat 1 clove of garlic every day for a couple months.